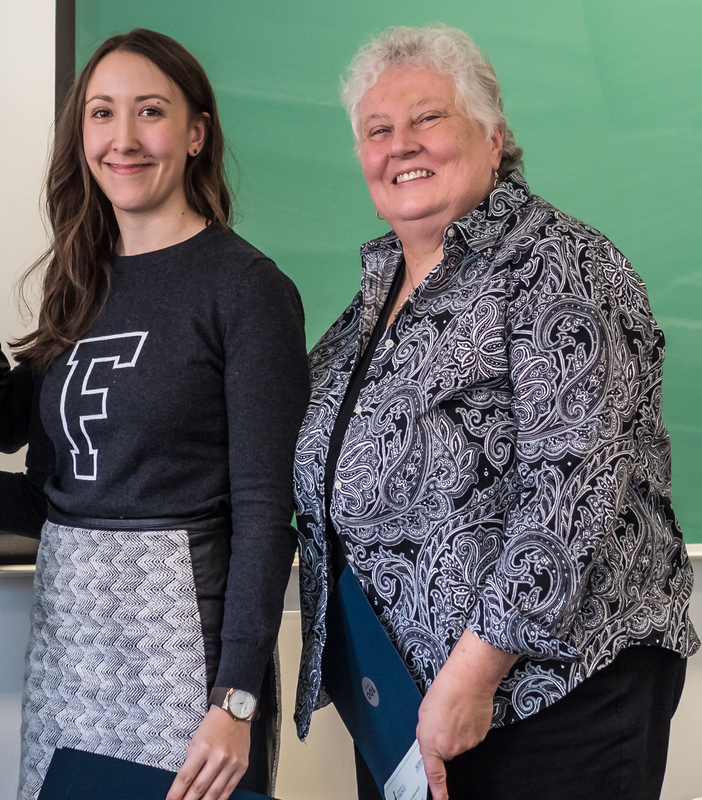 On February 6, 2015, to celebrate the Factor-Inwentash Faculty of Social Work’s 100th anniversary, nine organizations presented the initiatives undertaken with the funding provided by the Bertha Rosenstadt Trust. 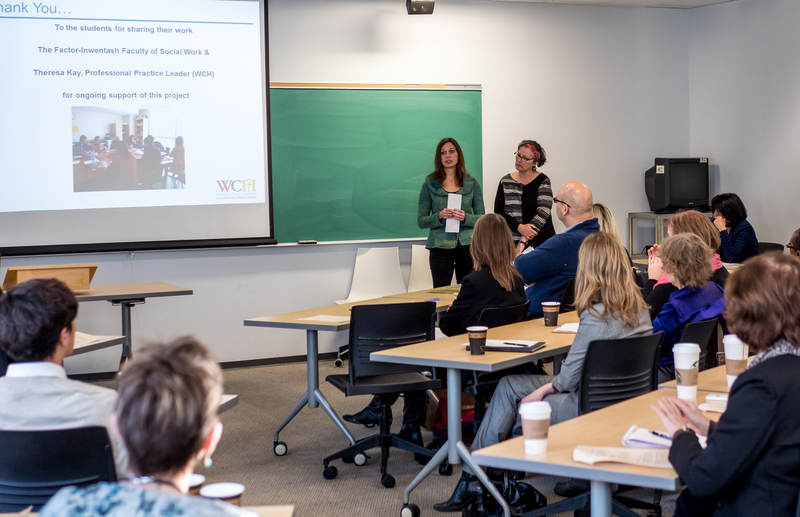 The Showcase provided the opportunity for members of the social work field to gain insight into the ongoing research projects conducted by their colleagues. The Bertha Rosenstadt Trust Fund in Health Research –available to all Health Sciences Faculties at U of T – is an important way for Factor-Inwentash Faculty of Social Work (FIFSW) to recognize the contributions of partner organizations who offer placements to FIFSW students. 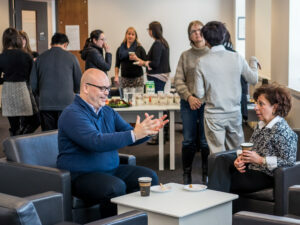 to develop and enhance social work research in FIFSW practicum settings. How does it work? An organization agrees to take a pre-negotiated number of practicum students for three consecutive years. 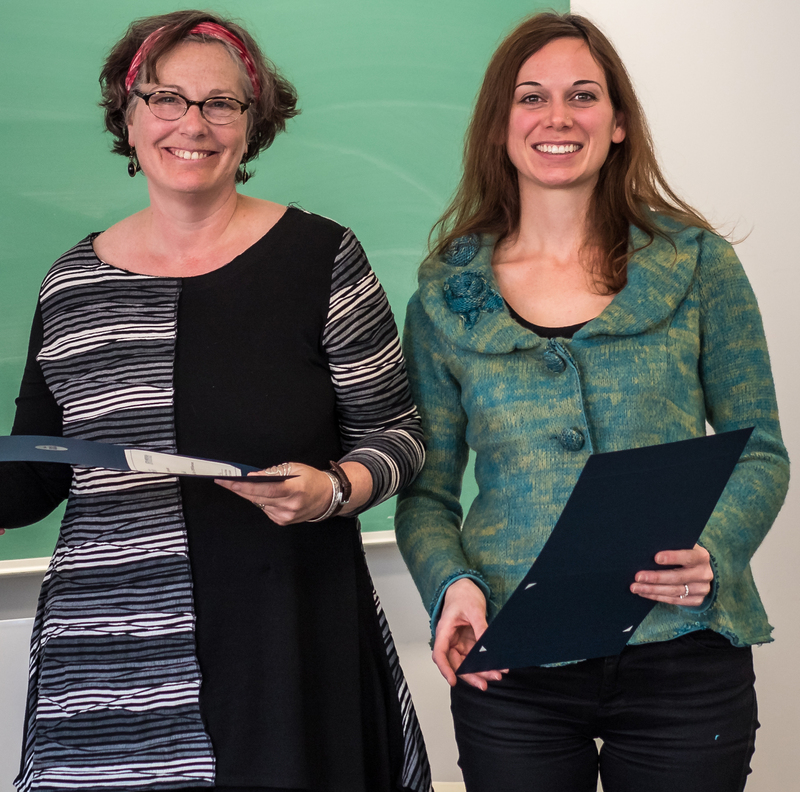 In return, the organization receives a three-year grant to conduct a research project, developed in consultation with FIFSW, that expands social work field education knowledge. The purpose of this study was to identify barriers that hinder social workers from taking students and to work with management to address those barriers. Findings were challenging as the atmosphere was one of defensiveness in that social workers appear to feel unsafe or unwilling to participate in the research. In an effort to understand the culture, key assumptions were obtained through interviews, observation and self-reflection. Social workers were not volunteering as field instructors due to fear of the unknown students, the perceived inability to manage limited time and the lack of significant institutional incentives. Now that this insight into the social workers and student dynamic has surfaced, it is important for systemic barrier to be addressed. Students who have not had previous employment experience may find it difficult to obtain employment interviews and successfully articulate the skill sets developed from practicum opportunities. This presentation describes an innovative participatory learning experience which prepares students for actual interdisciplinary employment interviews. Each student completed 2 videotaped interviews. Interview #1 consisted of a panel of social work staff while interview #2 had a panel of interdisciplinary health professionals. Students were provided with direct feedback and a CD following both interviews. 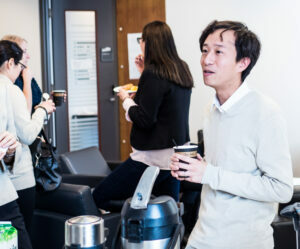 Upon completion of the placement, the project team conducted a focus group with consenting students to assess the longer-term utility of the process. The increasing number of MSW students has created pressure on organizations to provide more field placements whilst the number of social workers remains largely the same. How organizations accommodate these requests is therefore increasingly relevant. In this qualitative study, social workers at an academic teaching hospital were asked to examine their views about what impacts their decision to provide field instruction. It is hoped that these results will help both academic institutions and clinicians better understand the current climate around field instruction and provide insight into the benefits and barriers to becoming-and staying involved in the signature pedagogy of social work students. Field placements have been referred to as the “signature pedagogy” of our profession, underscoring the preeminence of this component in the education process. The issue of how to generate sufficient numbers of student placements has long been a concern and a challenge for both universities and field alike. 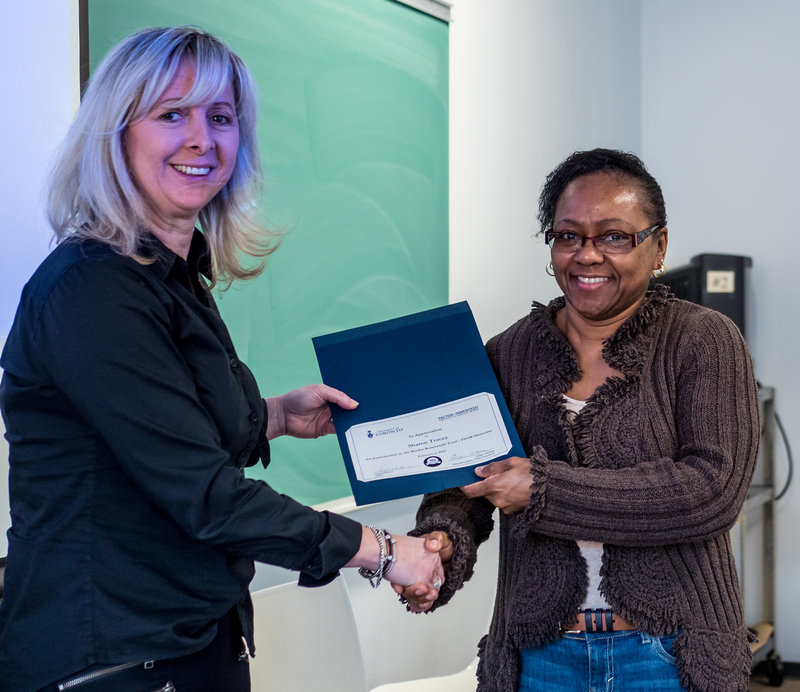 In this context, the social work service at Sunnybrook Health Sciences Centre has developed an innovative and unique approach to ensuring that each of our staff is fulfilling their teaching mandate – a Social Work Student Education Standard. This ensures participation in teaching activities, and specifically in the area of offering student placements. The Bertha Rosenstadt Trust Fund is enabling research on the implementation and evaluation of the impact of this Standard. GHC endeavors to create an orientation process and support system for new and returning field instructors by matching evidence-based practices with organizational, cultural and professional needs. The GHC is committed to work to make explicit a shared vision of the teaching and training at the centre as well as an understanding of the core components of MSW learning and develop flexible options for implementation of this vision. The goal is to create a sustainable program. 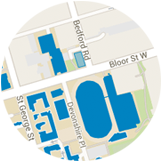 Thanks to funds received from the Bertha Rosenstadt Trust, several exciting projects have been completed at SickKids. The first is the development, delivery and evaluation of an elective course in social work in pediatric health care, delivered on-site at SickKids, which provided an opportunity for social work practitioners to transmit information to students about the clinical work delivered in daily practice. A second project is an evaluation of a group for children and youth with HIV, offered at an ambulatory clinic at the hospital. The positive results have been presented at numerous conferences and submitted to a peer reviewed journal. Social workers engage in a multitude of roles within the Canadian health care system. 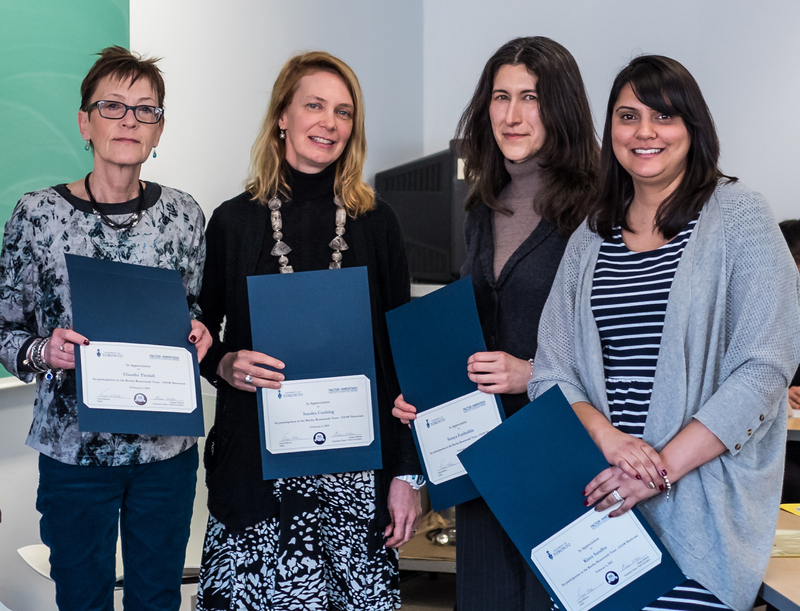 Using a mixed method design, this study aims to identify the theoretical frameworks and evidence based practice guidelines which guide the direct practice of social workers at the UHN. The sample consists of 21 social workers working in administration and with patients with complex health and mental health issues. Preliminary data will be presented based on the results of the Interdisciplinary Perception Scale and the qualitative data. The purpose of this project was: (a) to explore the use of arts-based and narrative methods in enhancing reflective practice and relational skills in field practicum; (b) to provide a facilitated arts-based supervision group for students. Informed by the idea that the stories of clients (and ourselves) are central to social work practice and emerging professional identities, the presentation provides a brief overview of the curriculum (teaching methods and practice themes), and shares examples of students’ work. Feedback from participants, challenges, facilitators’ reflections and dissemination will also be discussed. 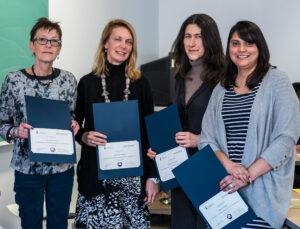 The aim of the mentorship research project was to evaluate the effectiveness of social work mentorship program at CAMH. To achieve this aim, quantitative and qualitative data were collected and analyzed over a period of time from all the participating mentor/mentee matches. The overall feedback for the program was very positive and it helped to improve it. It continues on. The aim of the high-support housing partnership was to evaluate the success of the transition of long-stay, difficult to house clients to a high intensity community-based supportive housing program using a partnership approach between the housing, hospital, and case management follow-up programs. Qualitative and quantitative evaluation results have demonstrated successful outcomes with this model. This housing partnership continues today and has remained a success. The purpose of this study is to examine the prevalence of potentially traumatic life events in an inpatient forensic population – also reports of trauma symptoms, substance use, mental health diagnosis, social bonds, index offence etc. The authors plan to then use these data to gain further insight into the assessment and treatment needs of this population. This study is at the mid-point of a two-year data collection process.